Coffee is making a big comeback in the Philippines as the demand for the basic commodity continues to increase while supplies continue to dwindle. Big companies like Nestle Philippines are pulling all the stops to make the country self sufficient in its coffee supply as Filipinos are known as one of the biggest coffee drinkers in the world. If you are thinking that putting up a coffee plantation is the only way for you to tap the growing coffee market, think again. There are a hundred ways on how you can tap this multi-million peso industry. This is the most common method of drying coffee used in many areas throughout the country. However, the problem with this method is that it exposes the coffee beans to the elements like wind and sudden rains. [related|post]Business opportunity: Construct cemented drying pads that you can lease out to the local coffee farmers in the area, as most of them would rather utilize the land than turn it into a drying pad. Aside from coffee cemented drying pads can also be used to dry rice, corn, and bananas. These multi-purpose grain dryers are locally made or imported from Taiwan or Japan. Due to the cost of the equipment, a lot of small scale coffee farmers cannot afford to purchase it for their own use alone. The equipment uses kerosene or LPG fuel for its heaters and relies on electricity to run its blowers. Business opportunity: Acquire a dryer and allow coffee farmers to use it for a fee, just like how rice mills are. This type of dryer has many advantages: it does not require electrical lines; can be brought to the field where coffee is harvested; utilizes corn cobs, firewood, or coffee hulls for producing heat through its furnace; drying can proceed even when it’s raining; can dry whole berries or partially depulped berries; and, dried green coffee beans do not have smoky flavor. 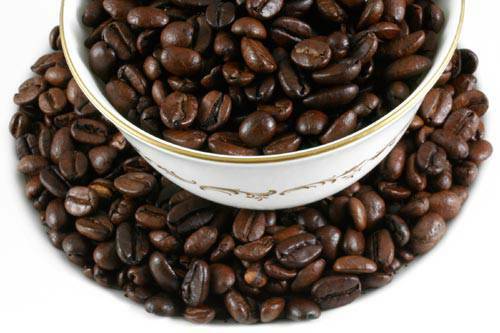 Business opportunity: Most of the coffee growers in the country are small scale. Investing in this kind of dryer will allow you to reach a bigger market since you can bring the dryer to their farms. If you are interested to venture into coffee drying as a business, you can check out the suppliers listed here.